Chinese Taste For Fish Bladder Threatens Rare Porpoise In Mexico : Goats and Soda The nets that ensnare the giant totoaba fish also trap and kill an endangered porpoise called the vaquita. The totoaba is prized for its large bladder. "People in Asian cultures use the swim bladder in a soup called fish maw," explains Erin Dean at the U.S. Fish & Wildlife Service. It's also reputed to have some medicinal value — it's thought to boost fertility. A scientist for the U.S. Fish and Wildlife Service shows a dried totoaba bladder at a news conference in 2013. And the totoaba has one big bladder, which it inflates and deflates to control its flotation. When dried, it's about the size of a laptop computer — and it sells for big bucks. What investigators found is that Mexican fishermen are using huge nets, called gill nets, to catch totoaba. And those nets also accidentally snare and kill the vaquita porpoises. Their corpses get thrown away, while the totoaba bladders go to China. The whole business is a violation of both Mexican and international law, since the totoaba and the vaquita are listed by international treaty as endangered, so they're legally protected. "There were totoaba swim bladders placed all throughout the house," Dean says. "Giant fans blowing to dry out the bladders." Altogether, the 214 bladders that agents found in that house were worth $3.6 million. Federal agents fear that with that kind of money at stake, the trade will get even bigger. "We absolutely have heard that cartels are involved in this trade," says Dean. "We've yet to nail that down." Meanwhile, as more totoaba die for soup, more of the vaquita die with them. There are now only about 100 of these porpoises left on Earth, according Leigh Henry, a conservation policy adviser at the World Wildlife Fund. "It's the most endangered marine mammal," she says. "They are beautiful animals. They look like they have lipstick on and mascara." The only place they're found is in the Gulf of California. Years ago, Mexico tried to protect the vaquita by putting large parts of its range off limits to fishing with gill nets. And the vaquita's numbers rebounded. 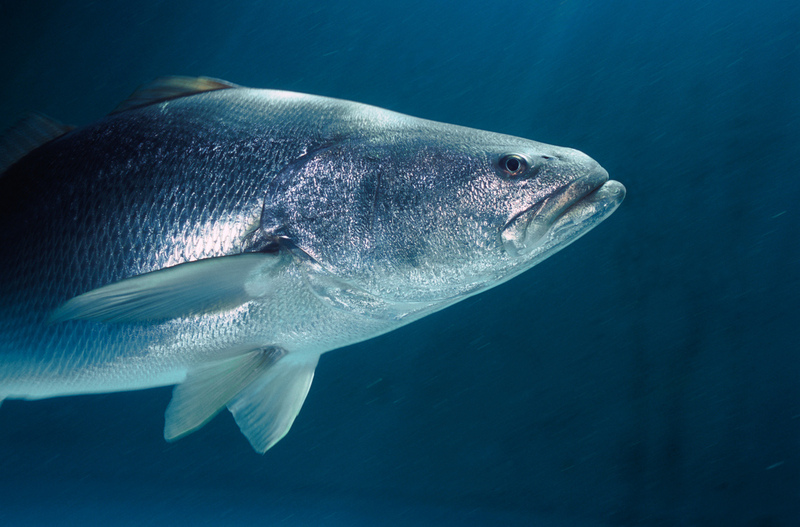 Things were looking hopeful — until the totoaba trade took off. Noguchi says the Chinese do appear to be taking the trade more seriously now. "They have looked at some of their dried seafood markets in Hong Kong," she says. "That's a hub apparently for the sale of this swim bladder." But Chinese officials say they've yet to see much of a totoaba market in China. They also noted in a letter to officials who monitor wildlife trade under the Convention on International Trade in Endangered Species that it's hard to tell what's totoaba bladder and what might come from other, non-endangered fish. Historically, fighting international wildlife trade takes a long time. And Leigh Henry of the WWF says that's especially true when it involves an animal that most people don't know about. "I want my kids to live in a world where vaquita continue to exist," she says. "My girls are 9 and 6. And they're probably two of the only people in the United States who know what a vaquita is. And they're concerned." So is she. She says without an end to the trade, the vaquita could disappear by 2020. A previous Web version of this story incorrectly said the porpoise called the vaquita is the world's smallest mammal. In fact, it is the smallest in the cetacean family of marine mammals, which includes whales, dolphins and porpoises.